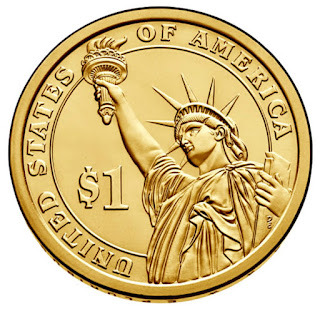 The series of golden colored $1 coins honoring the former Presidents will reach its thirty-fifth release with the 2015 John F. Kennedy Presidential Dollar. The release is expected to generate significant interest from both coin collectors and the general public. The John F. Kennedy Presidential Dollar features an obverse portrait designed and engraved by Don Everhart. The President’s downward pose is intended to be reminiscent of his official White House portrait. Inscriptions read “John F. Kennedy”, “In God We Trust”, “35th President”, and “1961-1963″. The reverse, which was also designed and engraved by Don Everhart, features a rendition of the Statue of Liberty with inscriptions “United States of America” and “$1″. The edge of the coin includes the date, mint mark, and “E Pluribus Unum”. Composition: 6% Zinc, 3.5% Manganese, 2% Nickel, Balance Copper. Diameter: 1.043 inches (26.49 mm). Mint and Mint Mark: Philadelphia – P, Denver – D.
In June 2015, the United States Mint will offer circulating quality versions of the John F. Kennedy Dollar within numismatic bags and rolls. The products will include 25-coin rolls, 100-coin bags, and 250-coin boxes with coins from either the Philadelphia or Denver Mint facilities. Proof and uncirculated versions of the coin will also be incorporated into various other numismatic products. 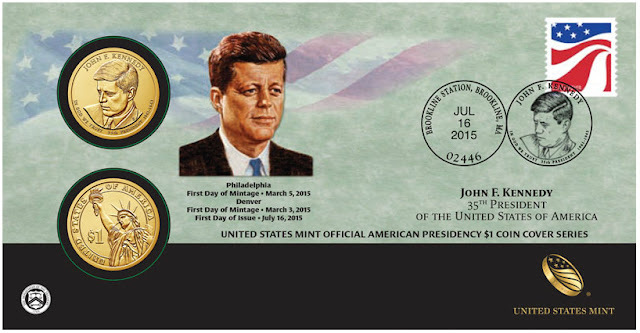 Late in the year, the Mint will also offer the 2015 John F. Kennedy Coin and Chronicles Set. John Fitzgerald Kennedy or “JFK” was born in Brookline, Massachusetts, on May 29, 1917. He enrolled at Harvard in 1940 and, during his senior year, wrote his thesis on Great Britain’s lack of readiness for war with Germany, which was later published as Why England Slept. Despite numerous health problems, Kennedy joined the U.S. Navy after graduation and went to the South Pacific, where he was injured when the patrol torpedo boat he commanded was rammed by an enemy warship. Despite his injuries, Kennedy guided the surviving crew members to safety and was awarded the Navy and Marine Corps Medal and a Purple Heart for his heroism. Following his military service, Kennedy worked as a reporter for a brief period before successfully running for the U.S. House of Representatives, where he served from 1947 to 1953, and then the U.S. Senate, serving there from 1953 to 1960. During his tenure in the Senate, while recuperating from back surgery, Kennedy wrote his Pulitzer Prize–winning book, Profiles in Courage. The Democratic Party nominated Kennedy as its candidate for president in 1960. He won the election by a small margin, becoming the youngest man elected president and the first Roman Catholic to hold the office. Kennedy was in office less than three years when he was struck down by an assassin’s bullet on November 22, 1963, sending shock waves of grief around the world. His assassination led to the introduction of the Kennedy Half Dollar, which has been issued from 1964 to present. 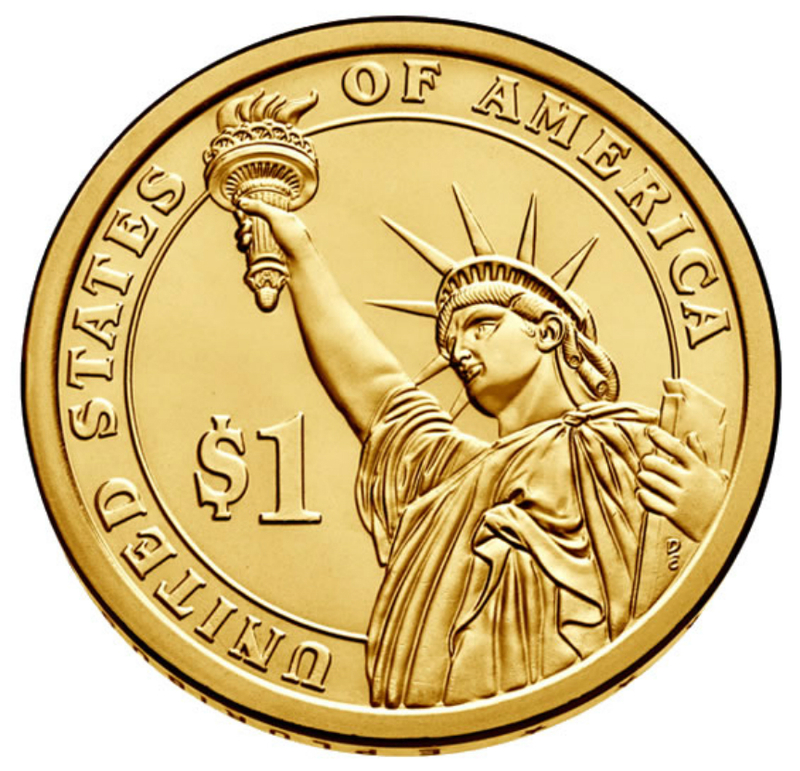 Although the coins are no longer issued for general circulation, the series is highly popular with collectors. 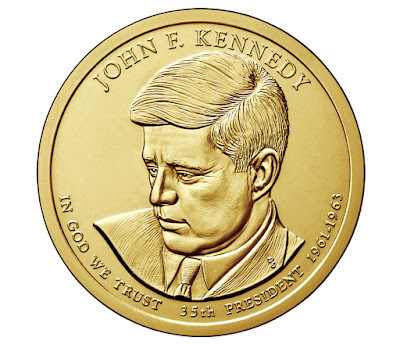 In 2014, the 50th anniversary of the series was commemorated with the issuance of a three-quarter ounce gold version of the coin, as well as other special products with coins featuring a restored version of the original portrait design. Cuban Missile Crisis, the confrontation between the U.S. and Soviet Union over nuclear missiles in Cuba. - Signing of the Limited Nuclear Test Ban Treaty, an agreement between the U.S., Great Britain and Soviet Union to ban nuclear weapons testing in the atmosphere, space and underwater. - Establishment of the Peace Corps. The 2015 John F. Kennedy $1 Coin Cover is a special coin set containing two Presidential $1 coins with circulating finishes mounted on a display card and held inside a postmarked envelope. The coins are mounted on a display card inside an envelope with a U.S. Red, White, and Blue (Forever®) stamp. 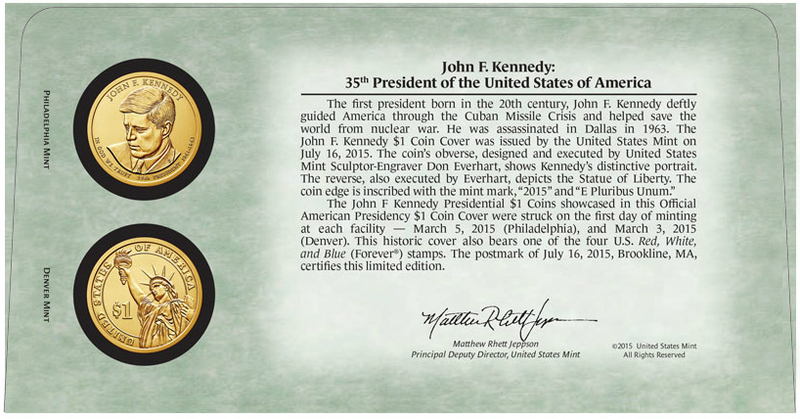 The cover also features a portrait of President Kennedy, and the postmark of July 16, 2015, Brookline, MA, which was the day the John F. Kennedy $1 Coin Cover was issued by the U.S. Mint. 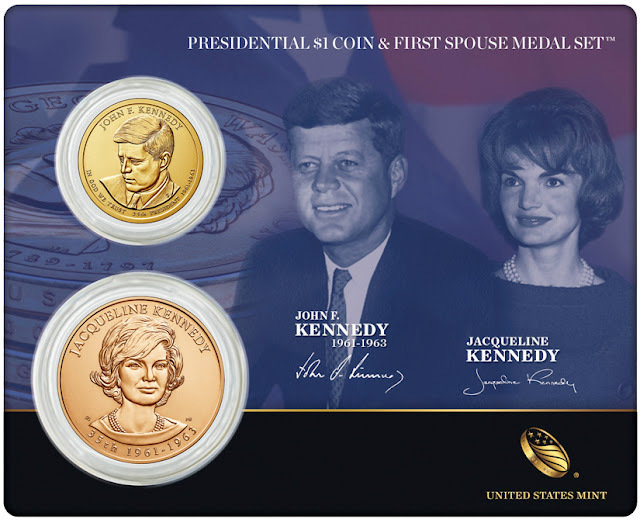 The Presidential $1 Coin & First Spouse 2015 Bronze Medal Set – John F. Kennedy includes an uncirculated John F. Kennedy Presidential $1 Coin and the Jacqueline (Jackie) Kennedy bronze medal based on her First Spouse Gold Coin.